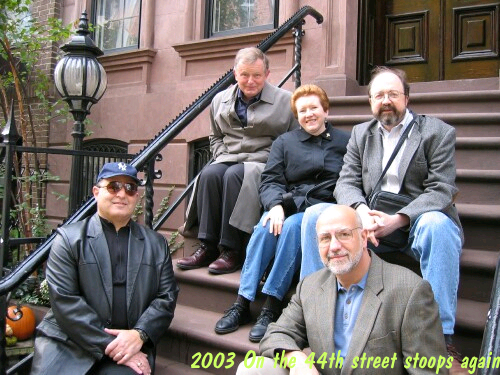 Nick, Phil and Margo met at the Algonquin Hotel on 44th Street in April 2003 to plan the fall reunion. 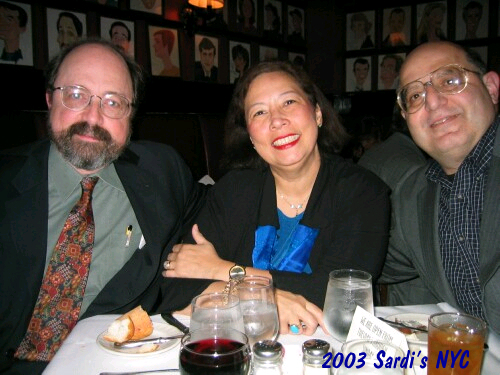 They had a great dinner at Sardi's with Nick's wife, JoAnne. 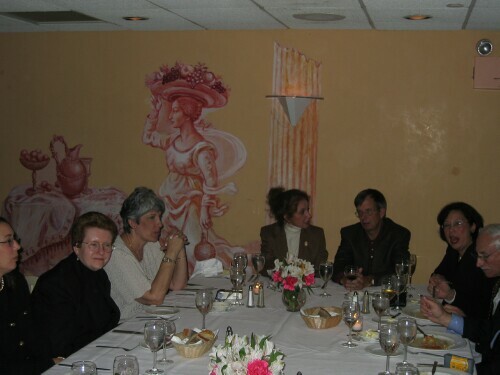 The next day they had lunch with Murray and Rita Braunstein, Stanley, Nora and Frank at the St. Andrews Restaurant. 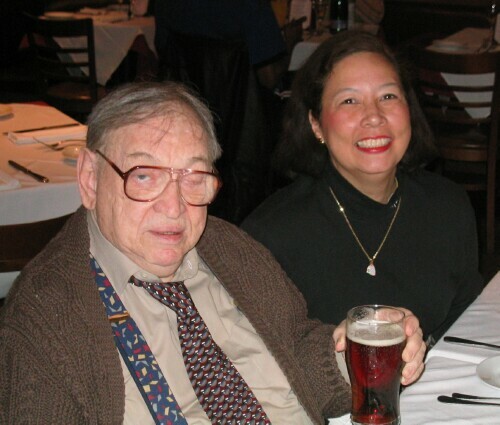 After 41 years, the Braunsteins told us that our class 7-1 was an experiment of sorts done by the NYC Board of Ed. They had put together a group of kids with 12th grade reading ability and 125+ IQs to see what they could do together. 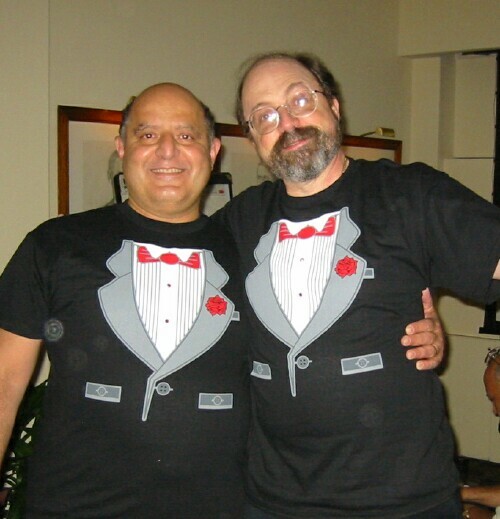 Mr. B was chosen to mentor this group of precocious youngsters through their "wonder years" . This explained why we had come from demographic borders as far south as the 20's (Margo) to as far north as the 70's (Dennis, Daphne, Alton, Annette). It also explained why none of us could come up with who the dumb kid in class was! The Braunsteins , in their 80's, offered to host the group for a brunch in the fall as we planned our main reunion. 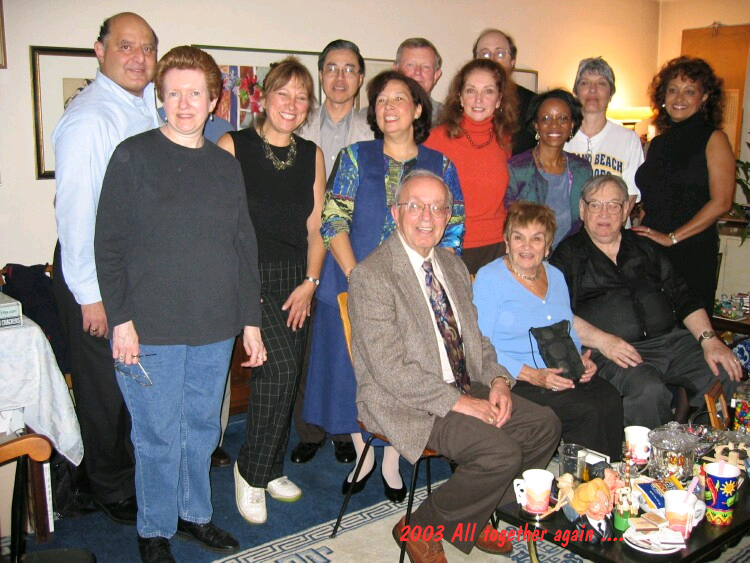 So...in October of 2003 the reunion was held in NYC with 11 of the 14 we had found and 3 teachers able to make it. 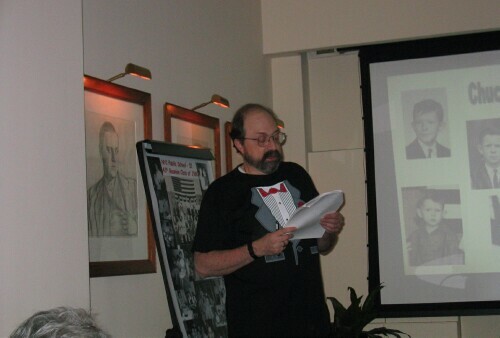 Our headquarters was the Crowne Plaza off 49th street on Broadway. We met at Danny's Hideaway on W.46th Street for dinner that Friday night and followed that up with a tour of the old neighborhood with Polly Bookhout (Hell's Kitchen historian) and then brunch at the Braunsteins the next day, where Herb Sacher, our science teacher, and Dr. Bernice Cornyetz, our Spanish teacher, joined us along with the Mourges sisters who had also gone to 17 (singing sisters in the photo below). 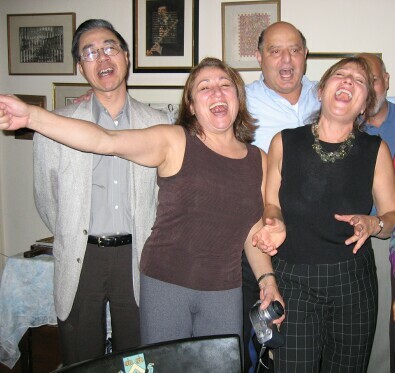 Highlights of the brunch included our rendition of the LaSalle JHS school song and our rendition of "Estas son las mañanitas" which Ms Cornyetz had taught us so many years ago. 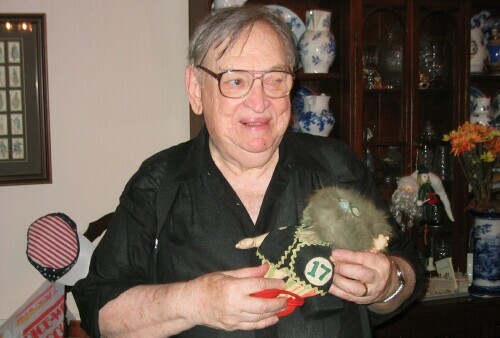 The Braunsteins had kept a little LaSalle Jr High doll that Daphne had sewn for them many years ago (see photo) which nearly brought her to tears. 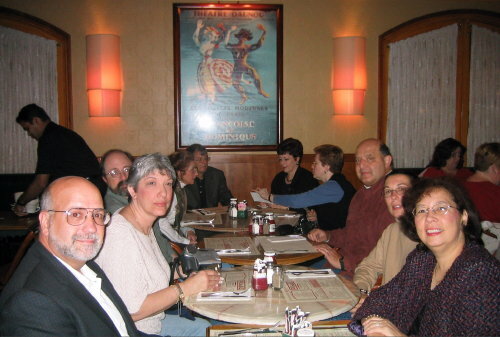 We had dinner at Scalettas up on 79th street that night where Herb Sacher, the Braunsteins and Barb Tackney (now Barb Petorak) , Chuck's cousin who had gone to PS 51 and JHS 17 with us, joined us for a great dinner. Following dinner we toasted with champagne and belly laughed at the lecture from Dr. Phil on the events that brought us all back together ( at a private room at the Mayfield hotel supplied by Frank). Our great weekend ended Sunday morning with a final breakfast at Pigalle.